Air Greenland Group posted a 12% rise in profits for 2018, driven by record passenger numbers and a route to Iceland. It was another great year for Air Greenland Group, which exited 2018 with a profit before tax of DKK 80.8 million (€10.85 million), up 12.1% on the previous year, boosted by revenues from a record number of passengers. Revenues increased to DKK 1.37 billion, driven by a total of 431,000 passengers, the highest number ever. There have also been increased activities in charter flights as well as strong results from the subsidiaries Greenland Travel Agency and the Hotel Arctic in Ilulissat. Profit in 2016 was DKK 41 million, which means that the group has doubled its results over the last two years. “A big thank you to all our employees, without whose efforts the results would not have been possible,” said Kjeld Zacho Jørgensen, chairman of Air Greenland. 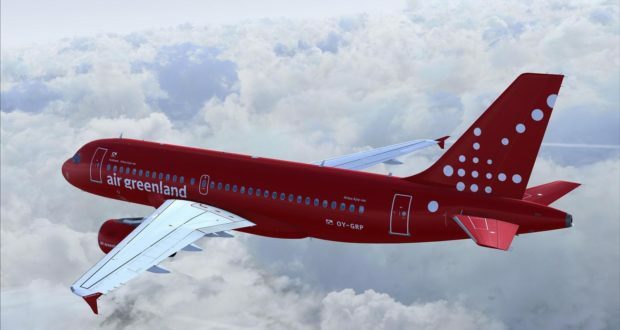 Air Greenland experienced 4% growth in scheduled traffic in 2018, with 87% of the growth coming from the route between Kangerlussuaq in western Greenland and Copenhagen. The airline also increased its frequencies to Iceland in 2017, and this has had a significant impact in 2018. “This must be seen in relation to the fact that the total Icelandic market has fallen by 12%, so Air Greenland’s market share has increased,” Jørgensen explains. In recent years, Air Greenland has increased its focus on customer initiatives such as the new customer Club Timmisa and customer events in Greenland. The airline says it strives to bind Greenland together in an effective way, and at the same time wants to strengthen local skills and know-how via corporate social responsibility. “As the national airline it is also important for us that our customers know that Air Greenland provides an extra service to them,” says Jacob Nitter Sørensen, chief executive of Air Greenland, who was hired only a year ago. Sørensen’s biggest challenges so far have been the weather, which has teased the airline at times, and recent technical problems with its single Airbus A330 which affected the traffic schedules. The airline operates seven Bombardier Dash 8 Q200 aircraft and a small Beechcraft B200 King Air, plus a fleet of 18 helicopters to reach more remote parts of the country. It is the flag carrier of Greenland, jointly owned by SAS Group (37.5%) and the Greenlandic and Danish governments.